Commissioner Andy Eads is a native Texan and fifth generation resident of Denton County. 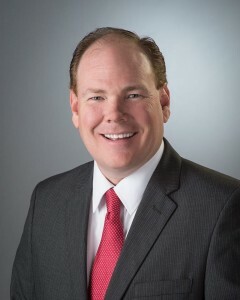 After graduating from Liberty Christian School, he received his BBA from Howard Payne University and his Masters of Public Administration from the University of North Texas. Commissioner Eads has served on the Denton County Commissioners Court since 2007. He serves as Denton County’s Representative to the Regional Transportation Council; Cross Timbers Rotary Club Founder and Executive Board; Board President of the Lewisville ISD Education Foundation; Board of Directors of United Way of Denton County; President of Denton County Housing Finance Corporation; Representative to Northwest Community Partnership; Board of Directors and Chairman Emeritus of the Flower Mound Chamber of Commerce; member Denton County Historical Commission, and Chairman of its Museums Committee; Denton County Master Plan Committee; Metroport Cities Partnership; Trustee of The Mound Foundation in Flower Mound; and Serve Denton Advisory Board. Past community involvement includes Founding President, Cross Timbers Rotary Club; President, Communities in Schools of North Texas; President, Denton County Historical Park Foundation; President, Flower Mound Rotary Club; President, Denton County Republican Men’s Club; Board Member, Greater Lewisville Family YMCA; and member of the Trietsch Memorial United Methodist Church Missions Committee. Commissioner Eads began his public service career at the Town of Addison where he researched and authored the book “Addison, Texas: A Pictorial History.” Prior to elected office, he was a top-producing agent with RE/MAX DFW, where he earned the Rookie of the Year Award and was repeatedly voted one of the Best Realtors in DFW by D Magazine. Commissioner Eads lives in Flower Mound with his wife Ginger and their children, Everett, Addison and Caroline. He enjoys volunteering and camping with his boys’ Scout Troop.